A thoughtful gift box full of Christmas Goodies. 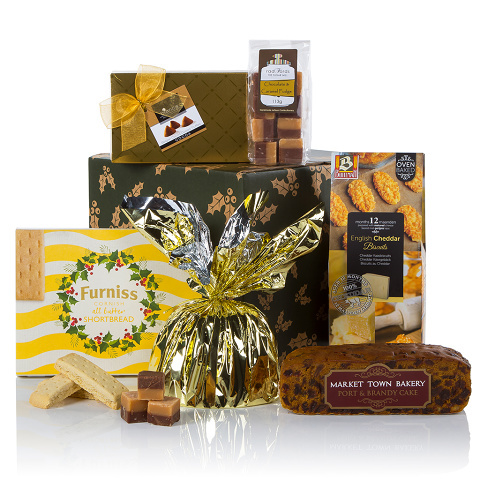 This box boasts deliciousness with every bite, from the Furniss traditionally baked shortbread fingers to the cocoa dusted truffles. Complete with a port & brandy fruit slab and a scrumptious Christmas pudding, your lucky recipient is sure to be full of smiles when they open the box! Choose our Goodies Galore gift for your friends and colleagues this Christmas.